My older daughter and her husband are both teachers, so I know what you are talking about. I haven't read any of this author's books, but I've enjoyed the movies spawned from them! I'm enjoying the new Hallmark series 'When Calls the Heart', based on one of her books, as well. I have enjoyed the movies and was delighted to see this was still offered free on Kindle. It is now on my TBR list. This sounds like a wonderful book! I will check it out this evening. Thank you! 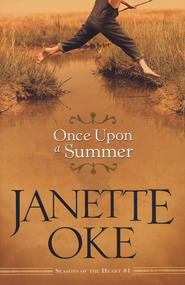 I really enjoy Janet Oke's books and style. I don't remember reading this one so I may have to look into it. I like your book reviews Linda. Keep them up. Sounds like just the ticket. Well done Linda!